How to Reveal Formatting in Word 2013 | Tutorials Tree: Learn Photoshop, Excel, Word, Powerpoint and Wordpress for free online. 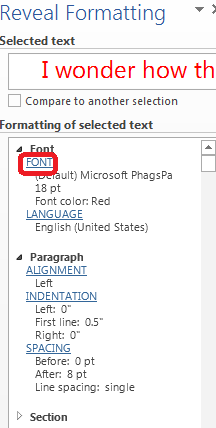 Sometimes it is useful to know exactly what the formatting of a particular document is so that you can reuse it at another time. 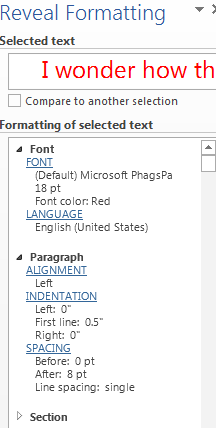 If you learn how to reveal formatting in Word 2013, you can see your text along with all the formatting codes that make it look the way it is. This makes it easier to replicate your formatting in HTML format. The Reveal Formatting bar shows you the Font, Section and Paragraph of selected text. 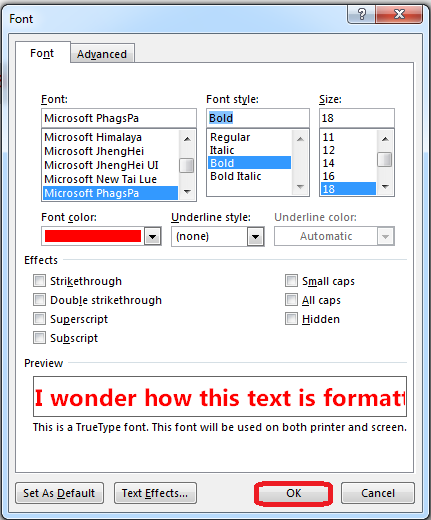 To learn how to reveal formatting in Word 2013, read on.